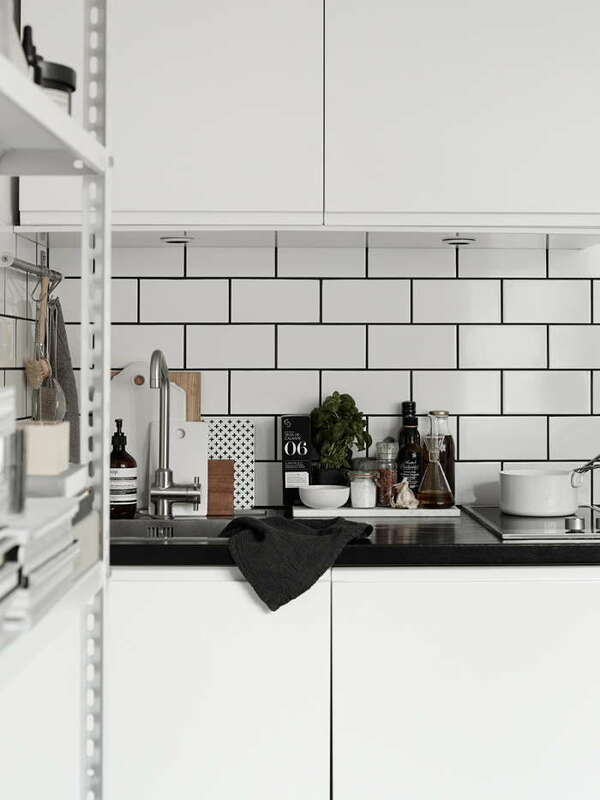 The tiny apartment of Lotta Agaton’s assistant Josefin Hååg and her wife Emma was recently featured in Residence Magazine. 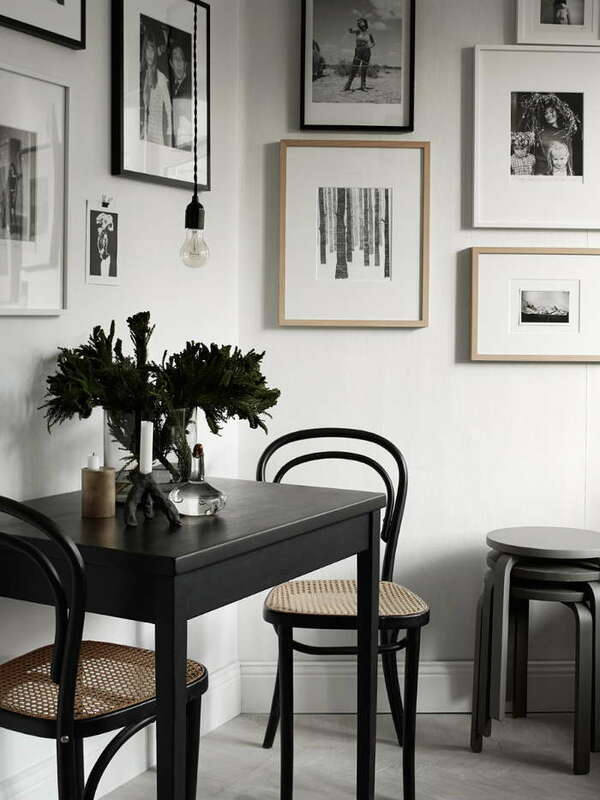 It was styled by the lovely Lotta Agaton herself and photographed by Kristofer Johnsson. 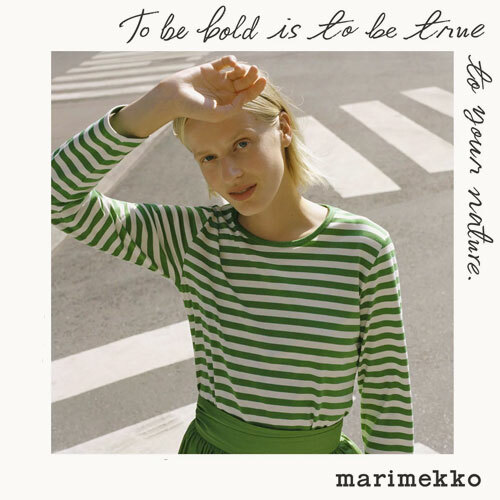 Once again, the team did a great job, as we can see from the fabulous pictures (although I’m sure Josefin’s place was pretty nice to start with). 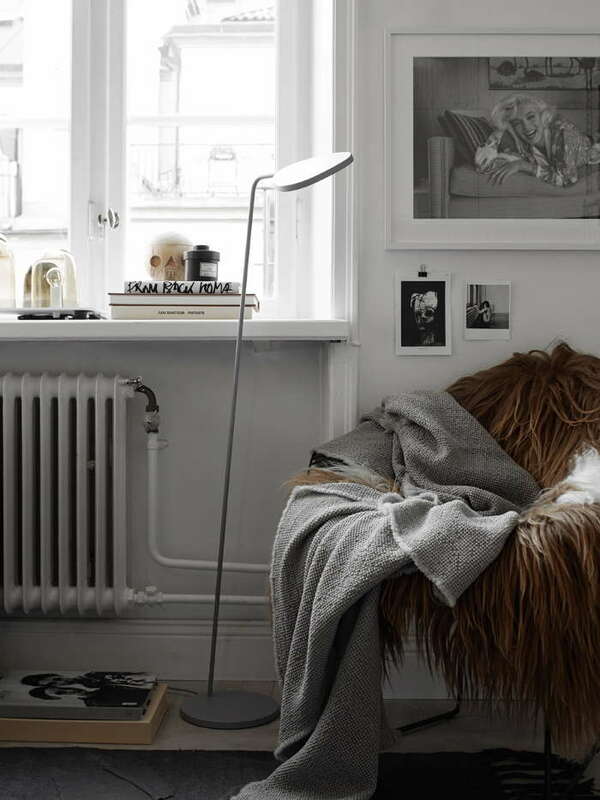 The apartment itself is just downright charming. 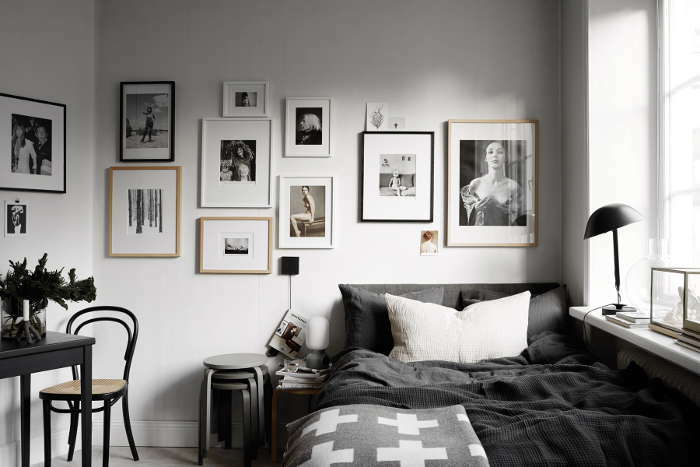 Monochrome interior with lots of design pieces, interesting details and stylish elements in every room, like the black and white photo collage, book piles and elegant still lifes. 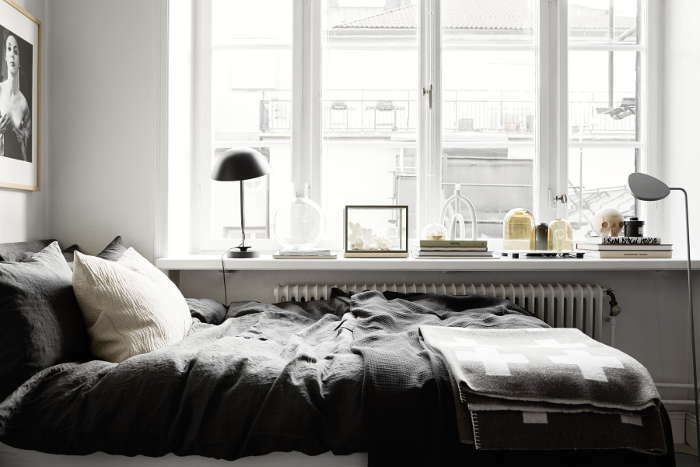 The use of earthy tones gives the apartment a cozy feeling, making you want to curl up on the bed with a good book. 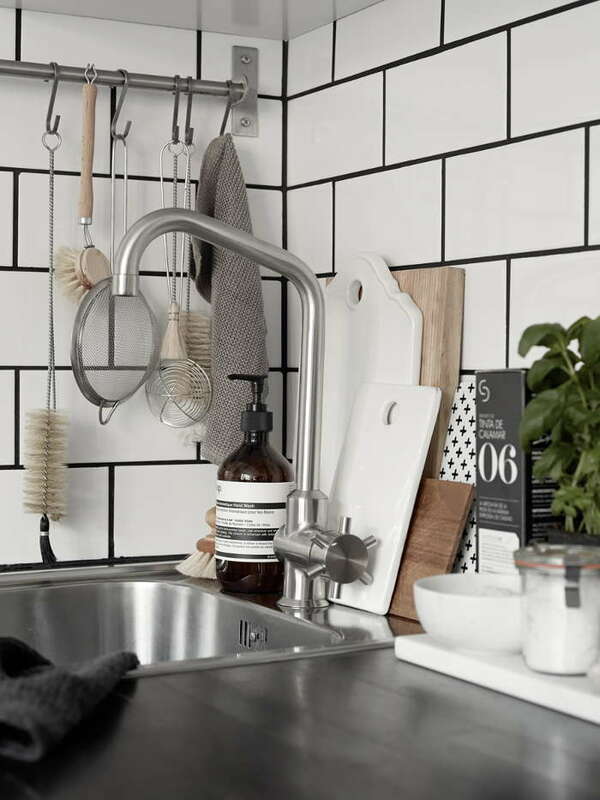 My favourite part is definitely the kitchen, I just love the tiles and the beautiful products! 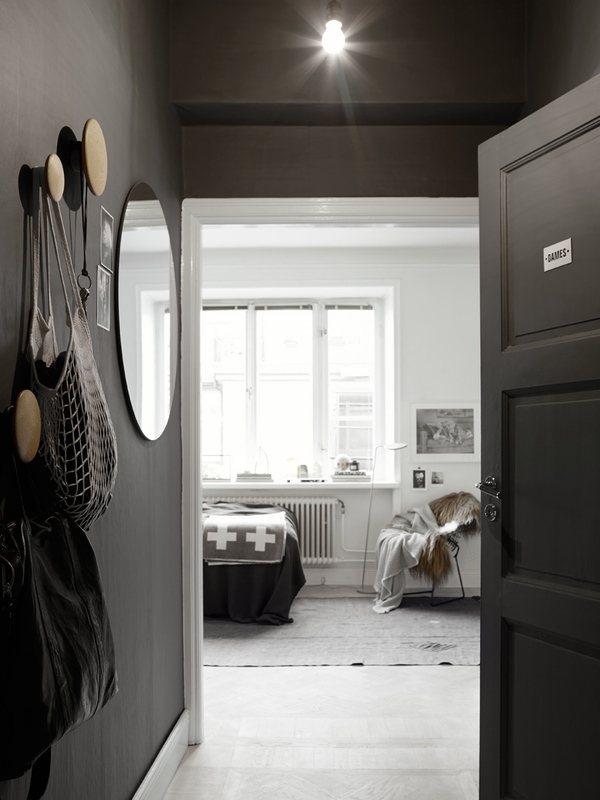 I’m also a fan of the Muuto dots hanger in the entryway. 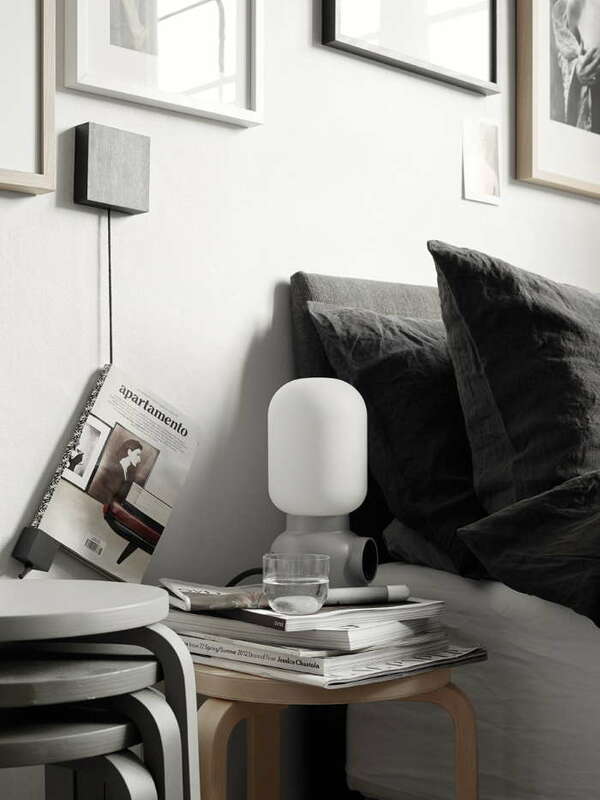 Photos: Lotta Agaton & Kristofer Johnsson.